General Specifications If using OS X 10.8, Apple update 10.8.3 must be installed before installing DisplayLink software. 10.8.3 fixes several serious OS X bugs exposed when DisplayLink software is installed. 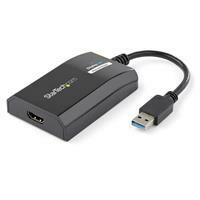 This USB video adapter uses a DisplayLink family chipset. 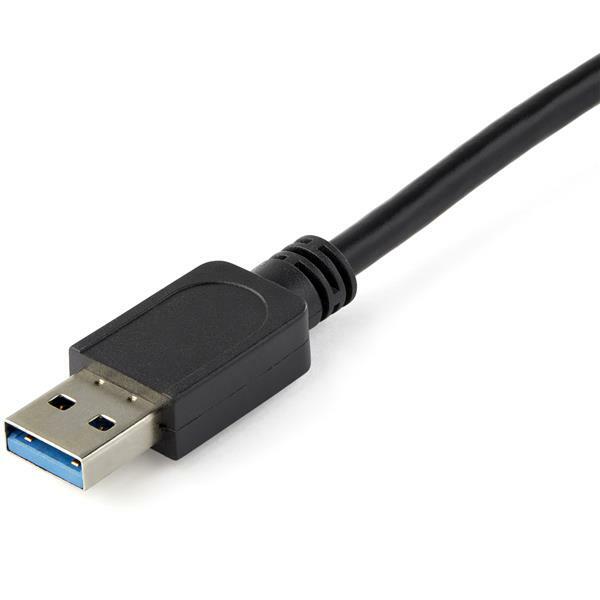 If you’re connecting this device to a computer along with additional USB video adapters or docking stations, please avoid using devices with a Trigger or Fresco family chipset. This product was easy to set up and the web video simplified it completely and provided confidence to a novice. (5 stars) Adding s 3rd monitor with usb to hdmi works great! 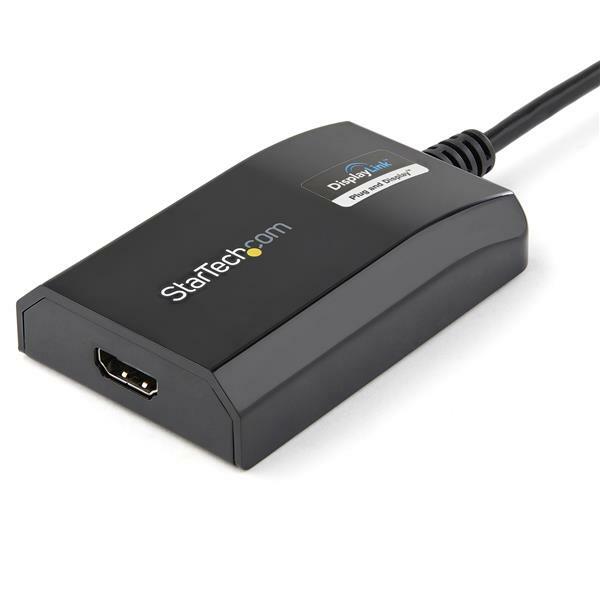 I bought a star tech hdmi to usb 2 adapter to add a 3rd monitor to my iMac. Works great! Issues with the new Mac OSX 10.12 Sierra. Startech does seem to have a beta driver released currently but it only partially fixes the video issues. While moving windows across screens the window will turn black (or white) in most cases with some video screen tearing within the window which also seems to crash Safari. They did fix the choppy mouse cursor though which is good but the windows are still a mess. An ETA on when this would be fixed would be great. Just to mention the adapter worked flawlessly before the Mac OSX update and still works well on Windows 10 and below. Hello, Thanks for sharing this review with us! We appreciate the feedback and are happy that the current drivers did address some of the issue you are having. Currently, as of 10/25/2016, we do not have an ETA from DisplayLink on newer OS X/macOS drivers, but we are working closely with them. As soon as those new drivers are available, we will let you know via the email address provided with your review. Thank you for your understanding and we hope we can clear this up soon. (5 stars) Worked great with my Mini Mac Quad Core Computer! I just purchased this product today, and installed it on my Mini Mac Quad Core Computer. 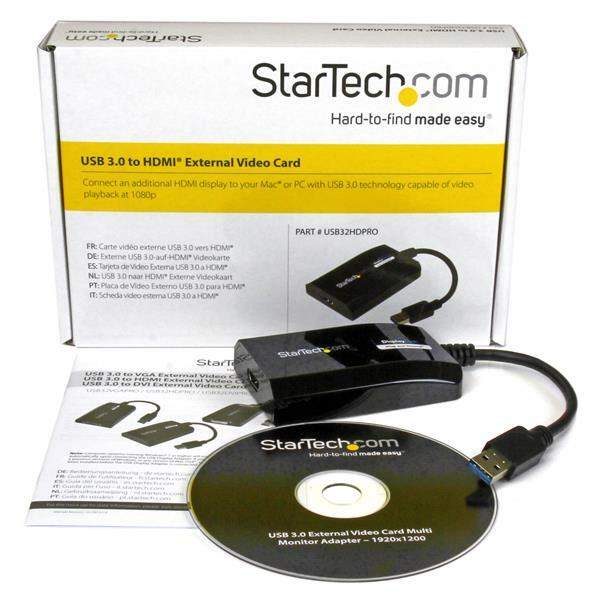 Since the computer doesn't have a disc drive, I visited StarTech.com, searched for the product by ID, clicked on the support tab, and downloaded the zip file. I determined that I have OS X 10.10.2, and so I double clicked on the installed the .dmg file in the "OS 10.6 - 10.10" folder. After it installed, it rebooted the computer. I logged back into the computer. I then connected the USB device, it took maybe 30-40s for the computer to recognize the USB device. I went to System Preferences, and changed the Display setting to turn off mirroring, and I was set. Easy as pie!